Totally transparent with value. We help you save money on getting straight teeth. This site is independent and is not affiliated with Invisalign®. Offers are from individual dentists for a limited time span. Offer currently for Houston,TX and surrounding areas..
InvisibleAlignment.com is partnered with a premier Invisalign dentist in Houston (Memorial / Galleria Area). For a limited time we are authorized to offer a full Invisalign treatment, valued at over $5000 for only $2999. To get your FREE customized discount offer sent to you, please use the convenient form on this page and we will send you an electronic (PDF) voucher via email that can be printed or redeemed at the dentists office using your smart phone. The coupon itself costs nothing, the price of service using this coupon is: $2999. Secure this price today! Offer is for discount / coupon for Invisalgin service at specified dentist office, currently only valid in Houston, TX area. Are you a true candidate for Invisalign Houston? The best value on Invisalign in Houston is available here via a huge discount by utilizing our Invisalign dentist. Our well seasoned dentist and team will do their best to make your visit a comfortable experience. Learn more about your options for getting clear braces in the Houston area. For an Invisalign discount that is far below the average price, you can simply use the simple form on the top of the page. This will allow us to generate for you a customized discount voucher. You'll also get an outstanding experience at a spa like dental office. If you are in pursuit of an Invisalign coupon, we have an great offer available in the Houston area. We have secured an excellent dental provider that has performed hundreds of clear alignment technology cases. The coupon is generated after you fill out a simple form. InvisibleAlignment.com is focused on providing the best resource for those looking for Invisalign in Houston. With a coupon that brings the cost of teeth alignment so low, there is no reason to wait on improving your smile. Fill out the form above and get your appointment set today. 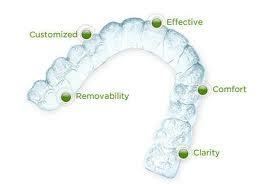 Invisalign treatment straightens your teeth with an array of clear, modular, customized aligners. The process begins at the dentists office, where, your dentist will take X-Rays and dental impressions of your upper and lower teeth. Afterward the invisalign lab technicians will produce a set of up to 48 clear aligners made to match the patients needs. 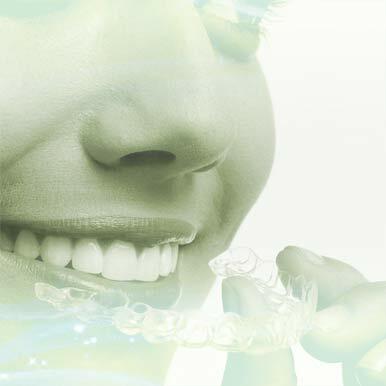 The patient will wear the the removable aligners for up to eighteen months. Throughout the treatment the patient should return to visit the dentist for routine checkups to verify that the teeth are shifting into their proper place.